Jorge Zuluaga is the man behind the vision of this new concept in top notch valet service. Jorge sees his company as the face the hospitality industry and often reminds his employees that the valet attendant is usually the first contact a customer has before reaching the front door or the front desk. With this philosophy as his guide, he tailors his approach as running his company with the customer's experience always in mind. He aims to redefine the valet industry one satisfied customer at a time. 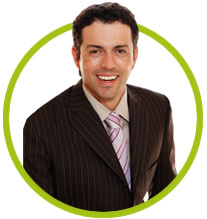 While his competitors spend most of their time seeking new opportunities, often neglecting their existing clientele, Jorge focuses his attention on delivering consistent professional service and maintaining an impressive level of client satisfaction. Jorge firmly believes that if he concentrates on spending the effort on his loyal client base and performs above and beyond what is expected, new clients will find him through referrals. Time and time again that has proven to be an effective means of building a business despite having to turn away new clients who do not share Jorge's vision.